The British first came to Surat in 1608 and so Australia and New Zealand are very new in the colonisation process. 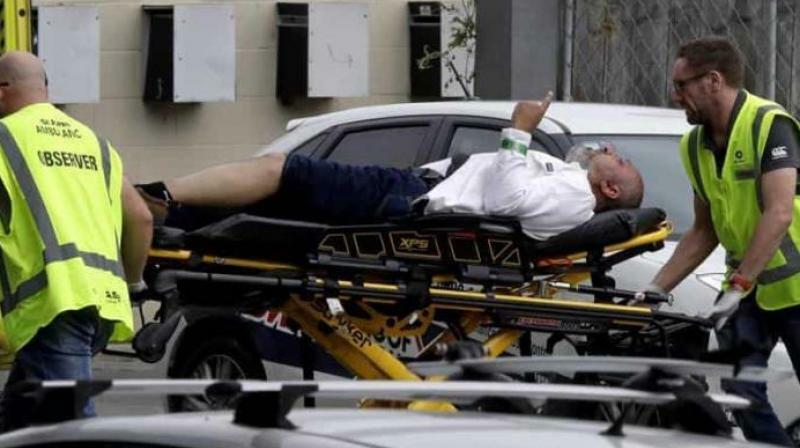 I learned about the New Zealand shooting massacre on Friday morning while listening to news on the radio. The reporter was speaking to local Muslims about their reaction and the voices were distinctly South Asian. A newspaper report on Saturday morning says that nine Indians are among those missing after the attack, including men from Ahmedabad and Hyderabad. It came to Australia in January 1788 with 11 ships that are known as the First Fleet. These were the original vessels from Portsmouth in England, that brought over a thousand Europeans to Australia, beginning its colonisation. This is not that long ago: It is after the last Battle of Panipat between the Marathas and the Afghans, long after the fall of the Mughal empire. The British first came to Surat in 1608 and so Australia and New Zealand are very new in the colonisation process. This is of interest because of the beliefs that the shooter in New Zealand has about immigration and foreigners. In a note he wrote before the massacre, he says his motive for murdering people was to “directly reduce immigration rates to European lands”. He considers New Zealand and Australia (where he was born) to be European lands, though the Europeans are themselves immigrants. The colonisation of Australia and New Zealand brought great misery to its original inhabitants, called the aborigines (with whom we Indians have genes in common). Aboriginal means something existing from the earlier times, just like we refer to India’s most ancient inhabitants as adivasis. The aboriginal population was destroyed by European colonists, who were ruthlessness in taking over the land, and they also brought disease. The takeover came with its own names. Victoria, New South Wales, Wellington, Auckland, Queensland are names we are familiar with today. They are ones that the colonisers imposed on the land they occupied against the will of the aborigines. New Zealand was annexed in 1840 by the British from the local Maori population. The Europeans inflicted severe cruelty on the aborigines even after they conquered their land. Under acts of their Parliament, they began officially separating aboriginal children from their parents. This is known today as the Stolen Generations. This policy continued into the 1960s. Even today the aboriginal people face discrimination, including in the criminal justice system. All of this is hidden under their cheerful and sporty demeanour, which supposedly reflects the Aussie spirit (of course, these days we also know Aussie spirit through its cheats). What I have written above is common knowledge and every Australian and New Zealander will be familiar with it. European colonisation devastated populations on the other side of the world also and if today we are familiar with names like Canada, Virginia, Georgia, Washington, America, Bolivia and Argentina, it is because foreigners conquered these lands and imposed names on them. It is this European colonisation that around the world produced gun laws that allowed people, meaning White settlers, to keep firearms, ostensibly for their defence. The Prime Minister of New Zealand said after the massacre that she would change the country’s gun laws. This will of course help prevent future violence. It is astonishing that nations allow civilians to purchase and keep high-powered rifles with large magazine capacities whose only purpose is war. America’s resistance to gun control has inflicted the greatest massacres on its population, including its children. But we should ask ourselves why the descendants of violent conquerors and colonisers still claim victimhood. It is not natural. The fact is that this sentiment, against immigrants and particularly against Muslims, is produced by the climate of hatred and bigotry that we see all around us. It is produced by the politics of division and spread by a reckless media around the world, including, unfortunately in India. Aakar Patel is a writer, columnist and executive director of Amnesty International (India).